One of the beautiful effects of sitting consciously for a few minutes every day focusing on our breath (aka meditation), is the attitude of gratitude. Aside from the bliss and contentment that meditation offers, it naturally directs us towards our innate but untapped virtues of compassion and gratitude. The attitude of gratitude simply shifts our focus from the many things we do not have to the many things we possess but do not realize and/or appreciate, let alone be thankful! For example, we may not have that luxury car that we have been longing for so long, but we do have a healthy body, beautiful loved ones, a home, pet(s), more food on the table than we can consume, ready access to all things good, a nice house help, a job, a comfy car to fly around in, friends, an understanding boss, helpful neighbors, healthy parents, the works. And yet we undermine (and often ignore!) the existence of these precious phenomena which make our lives all too fulfilling, meaningful and blissful. We tend to take these for granted! Almost as a matter of entitlement! The attitude of gratitude is not a tall task. It simply encourages us to appreciate and be thankful for the many (trust me, they are many!) things we possess and/or experience as we go about our life. For example, it makes us ‘see’, acknowledge and reciprocate the smile on the face of the security guard of our office or apartment who greets us every morning when we are too besotted to notice, let alone reciprocate. It makes us take note of the cabin attendant who greeted us with a warm smile as we entered the aircraft but were too preoccupied to notice and/or reciprocate. It makes us realize how the super – efficient and smiling waiter or waitress at the restaurant this morning did such a fine job of serving us breakfast to our absolute liking and made sure that we were on our way for that morning meeting in time. It is amazing how when all goes well we take it for granted and even fail to notice and/or acknowledge. And ironically enough, the next moment when one thing goes amiss, we go miles to make our feelings known. When was the last time we liked someone’s services (a flight attendant’s, the lady at the front desk, the security guard, the waiter/waitress, housekeeping staff, the toilet attendant, the list is endless) and took a moment to thank him/her in person or paused to ask him/her for his/her reporting manager’s email id to drop in a quick note of thanks? However, the last time the food or service was not to our liking, we went that extra mile to post adverse comments on social media or created a furor by immediately summoning the reporting manager to express our displeasure! Why can’t we be as nimble when it comes to expressing our likes or satisfaction? Does it take a lot of innate goodness (or effort!) to say ‘Thank You’ or ‘Bravo!’ and does expressing our anger and resentment come more ‘naturally’ to us? 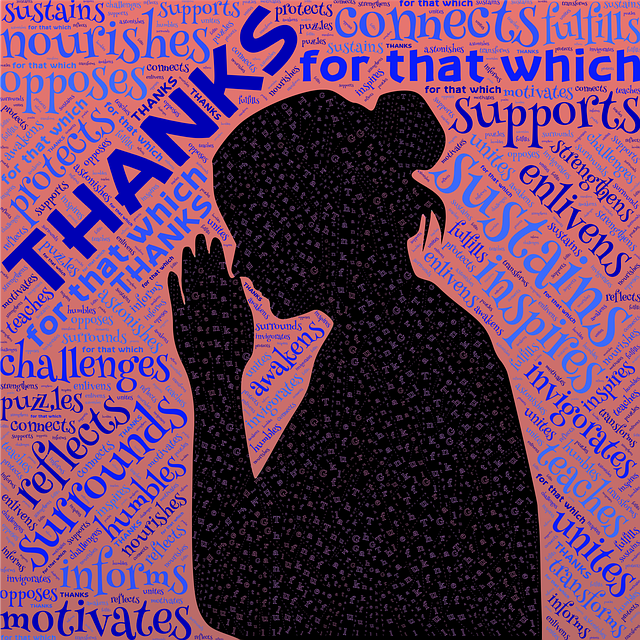 It is amazing how saying ‘Thank You!’ can make such a difference to the recipient’s life. It fills them with the reassurance that whilst there are people in this world who are so quick to complain, hard to please or generally thankless, there are others who do notice their deeds and acts of kindness which sometimes may be beyond the call of their duty. It fills them with a sense of pride. It encourages them to think that goodness still exists and is (still) reciprocated! The attitude of gratitude is a remarkable practice and as with other things in life, it comes naturally to some and yet some of us need to practice and inculcate it. Either way, it spreads joy and happiness, not just to the recipient but also to the giver (try it!). And what’s more, the joy and pleasure that we experience as a result, only multiplies as we practice and ‘pay it forward’. This is unlike the longing for material possession, which is subject to the law of diminishing returns. We long for that expensive watch or that bag or shoes or that car or a flat and yet after we have it, it doesn’t give us as much pleasure after a while and then, we move on to the next thing and the thing after that and so on! Receiving a compliment or a simple ‘thank you’ is like (receiving) a gift and it gives people a lot of happiness. The attitude of gratitude teaches us to be mindful and stay in the present moment and appreciate it to the hilt. It encourages us to appreciate the many things we tend to take for granted or otherwise generally fail to acknowledge. Try and practice gratitude. It is therapeutic – it touches and heals the soul of the recipient and the giver! Is Acne Scarring Your Child’s Self Esteem?